I think the only way to do this properly is to get the students up out of the seats, in a line, and march around the classroom in and around the desks to the rhythm. Repeat the alphabet call & response couple of times as you march around the room. 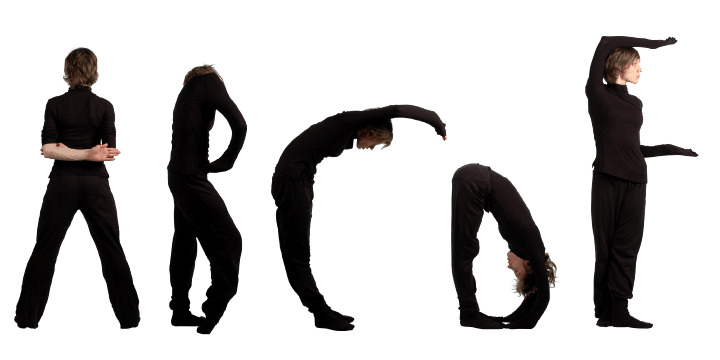 Maybe get the students to try to make the letters with their bodies as they march for an extra twist? The "and" should be in the target language too, of course! After a few rounds, you could always try calling the alphabet backwards - but you may need to practice this beforehand! It's not a game exactly, but a great way to practice the alphabet, and possibly other vocabulary. Numbers spring to mind instantly, but possibly also daily routine words - and why not add actions to add an extra kinesthetic dimension? This is another activity from the Langues & Terres course I did in France in April. A really simple and quick game. The students count - one student per number - going around the class. But time it, to see just how fast they can go. After a few tries, count backwards to see if they can match their top speed. Students love it! This could also be used for practice saying the alphabet in the target language - any other ideas or variations? Please let me know! This game is really similar to Ashurbanipal / Pak Totomoto / Babo, however it has one HUGE advantage - no one gets out, so everyone is involved for the whole game. For those who don't speak Indonesian, Gunung Agung is a mountain in Indonesia. I'd replace it with Mount Blanc perhaps for French, and maybe Kosciuszko for English (pronounced Koz -ee-osk-oh - it;s a mountain in Australia) - you want something of a couple of syllables and preferably a little tricky to pronounce! Basically, everyone sits in a circle and is given a number. I found it really helpful to have the numbers written (in figures) on a piece of paper in front of each student. One student is "Gunung Agung" (or relevant mountain name) and has that title instead of a number - this is the highest position. The aim of the game is to move as high up the mountain as possible. you call a number that is one higher or one lower than your own. you take tooooo long to respond - the snappier the game is, the more fun it is. When someone is out, they stand up and move to the bottom of the mountain (seat 1). Everyone who had a lower number than that person moves up one chair to fill the gap. Obviously, as the aim is to be at the top of the mountain (in the Gunung Agung chair at the end of the game), it makes sense to target the higher (and often harder to remember) numbers rather than the low numbers. I'd suggest a clear time limit and possibly showing a timer so the students know when the end is near - the people near the top of the mountain get rather frenetic at the end! 15 minutes would be a good length for this game, but you could run it for anywhere from 10 to 25 minutes. My Year 9s also suggested that instead of numbers, you could use picture flashcards for the chair places as a way of drilling other vocabulary, depending on the topic. Numbers also would not need to start with one, or possibly could be not consecutive (but still lowest to highest). Love this variation & think it will become a regular part of my classes! 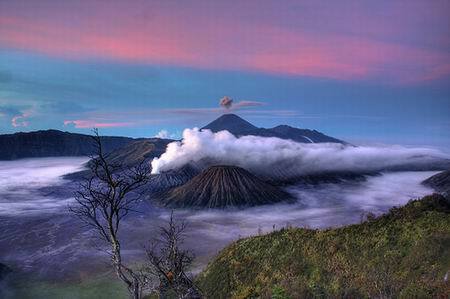 ps - the mountain pictured is Gunung Bromo not Gunung Agung - I just love the photo! A riddle game. 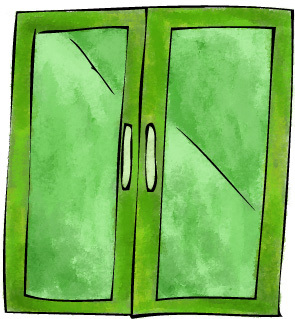 I've seen a few versions of this around (such as The Green Glass Door). Basically, you have a secret rule which the students need to guess. Anything that follows that rule, you like, you don't like anything that doesn't. "I like peas but I don't like carrots. I like pears but I don't like apples. I like ears but not noses." Students need to guess the rule by asking yes / no questions - "do you like beans?" (yes) "do you like pants?" ("no, but I like jeans!") - in this case the rule is to do with spelling - I "like" things with an "ea" in them, and don't like things that don't.